The Nederlandse Spoorwegen (Dutch railways or NS) gives most of its rolling stock gets a complete make-over, half way its life-cycle. The mid-life revision. Trains are completely stripped and get a complete technical and optical overhaul after approximately 20 years of service. 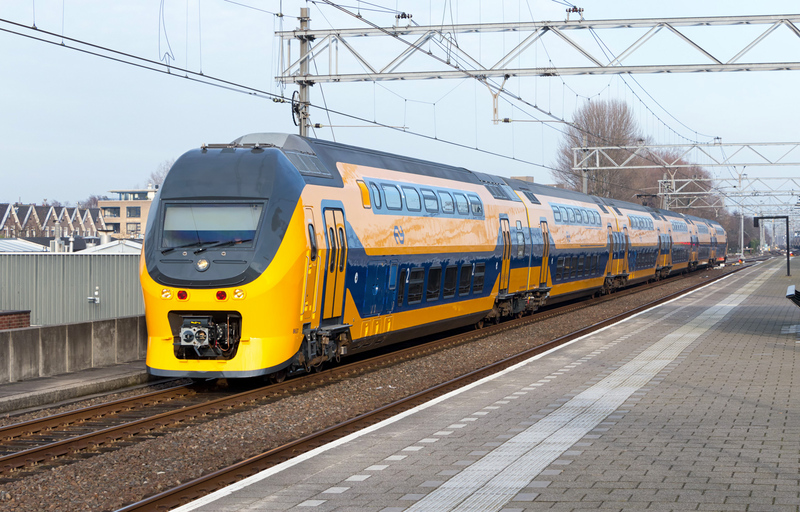 During the past decade the Dutch Railways completely refurbished the fleet of ICR coaches, ICM ‘Koploper’ and DD-AR double deck trains. For this article we thank Roel Hemkes and Vincent Prins for their cooperation. Now the first batch of DD-IRM trains (‘dubbeldek interregio-materieel) is due for the mid-life revision. It comprises of 81 sets delivered from 1994 tot 1996. 34 sets entered service in 3-car formation, the designated 8200 series. 47 more came as 4-car trains numbered in the 8400 series. Between 2002 and 2005, all sets got extra intermediate cars, resulting in 34 4-car trains and 47 6-car formations that were renumbered as series 9400 and 8600 respectively. The name of the train changed from DD-IRM to VIRM1 (Verlengd InterRegio-Materieel serie 1). 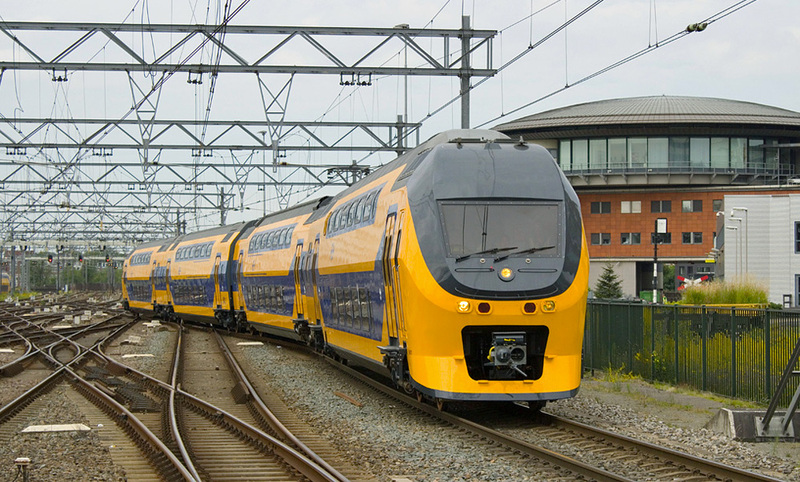 Since September 2014, the Nedtrain workshops in Haarlem have been working on trainset no. 9411 which serves as prototype for the modernization of 4-car trains. It was completed in june 2016 and is since then used for test runs on the Dutch railway network. On 30.08.2016, the NS presented the 9411 in Haarlem to the press. From 31.08.2016 until 02.09.2016, the train was on display to the public at the main station of Rotterdam. 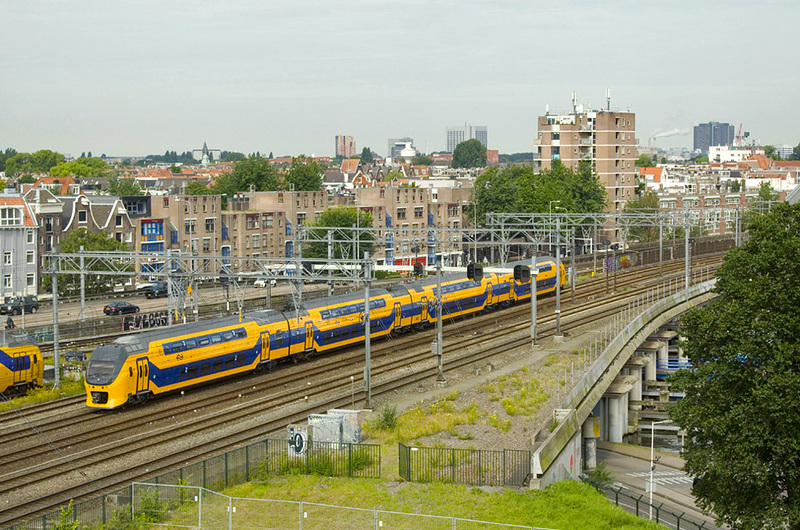 At Haarlem, the next trains are already under revision with the 8637 being the next one and the prototype for the 6-car trains. In 2020 the complete batch will be done, a project that costs around 450 million euro. From the outside, at first sight, not much seems to have changed, except for the shiny paint in yellow and blue. When you look closer, you’ll notice alterations on the roof to enhance the aerodynamics of the train to lower its energy consumption. The new ‘silence’ and ‘meeting’ zones inside the train are mirrored in its livery using the blue striping, which is continuous where the meeting zones are: on the lower floor. There the interior is more colorful to create a less formal atmosphere. More seats are placed in vis-a-vis configuration. There is a lounge coach at the end of every compartment. The upper floor has a more neutral design with seats placed behind each other. Using your mobile phone and speaking out loud is not wanted here, so people can enjoy their trip in silence or while working. All modernized VIRM1 sets will have (again) wireless internet and a real time passenger information system. The toilets now include an urinal. The interior light now automatically adjusts to the weather/light conditions. New braille plates at every staircase will help the visually impaired people to find their way. The DD-IRM/VIRM trains were originally delivered with little elevators located in between the stairs, to be used for catering trolleys, but they were hardly used. The space can now be used for storing luggage.